Amazing 2 bedroom, 2 bath corner apartment with soaring double height ceilings with an unbelievable Miami skyline view from all rooms. Sophisticated, fully high-end designer furniture from TUI and appointed on the 40th floor. Situated on Brickell Avenue in Miami�s financial district, the newly completed Viceory Residences at ICON Brickell offers a truly unique style of living in the area�s first-ever Viceroy Hotel and ICON Residences community. Hosting an exclusive residence, ICON�s modern architectural design is emphasized by its water front location, beautiful palm trees and groomed landscaping. 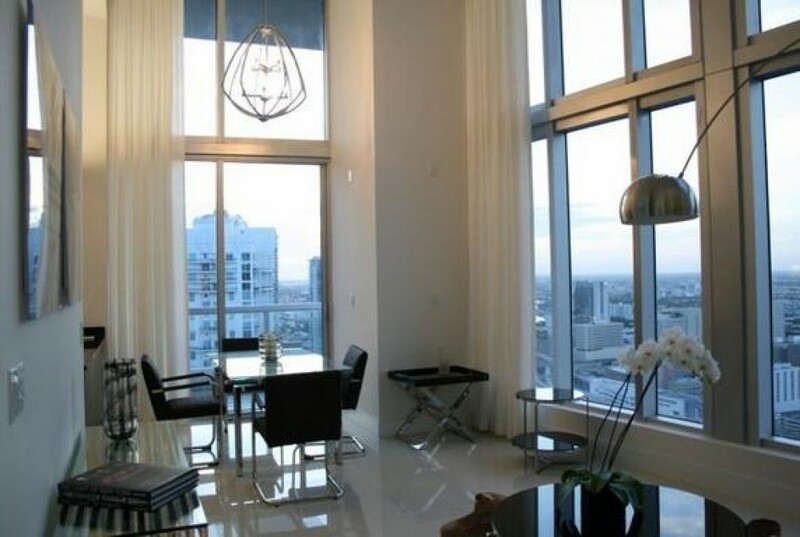 This ideal location is in walking distance to all the Brickell Area has to offer. Referred to as the 'Manhattan of the South', Brickell is home to numerous international banks and home to many of Miami's top restaurants (such as Capital Grille, Zuma and Indigo), shops and places of entertainment. Everything this urban paradise has to offer, can be accessed by foot, metro-mover and taxi.